U.S. swimmer Michael Phelps reacts after the men's 100-meter butterfly final at the 2016 Summer Olympics in Rio de Janeiro, Brazil, Aug. 12, 2016. Phelps is picking up more hardware -- this time for what he's been doing outside the pool. The Boston-based Ruderman Family Foundation, a leading voice in calling for more opportunities for the disabled, says the Olympic champion is the recipient of its fifth annual Morton E. Ruderman Award in Inclusion. 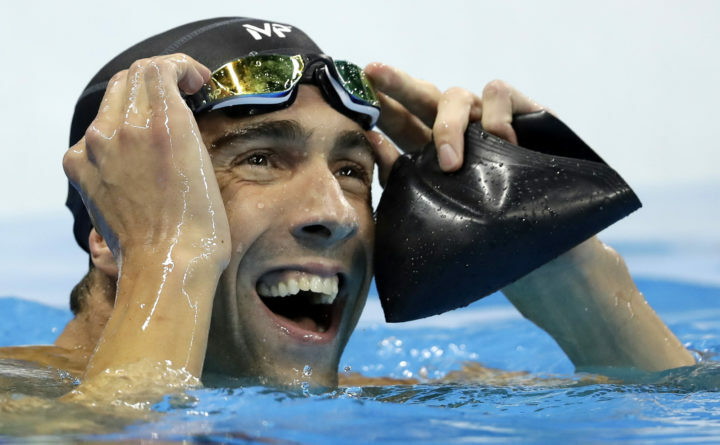 The foundation tells The Associated Press it picked the world's most-decorated swimmer of all time to recognize his advocacy for people with disabilities and "his own journey with mental health." The foundation works for more inclusion and opportunities for the disabled. Previous recipients of its award include Oscar-winning actress Marlee Matlin and former Democratic U.S. Sen. Tom Harkin of Iowa, a driving force behind the Americans with Disabilities Act.